With a focus on making disciples, OUTBOUND, A Day on Evangelism at Bethany Wayne UMC sparked a renewed enthusiasm for outreach. At the conference held on March 25, participants from across GNJ gathered to engage in workshops and hear from prominent evangelists using innovative new ways to reach into the community. 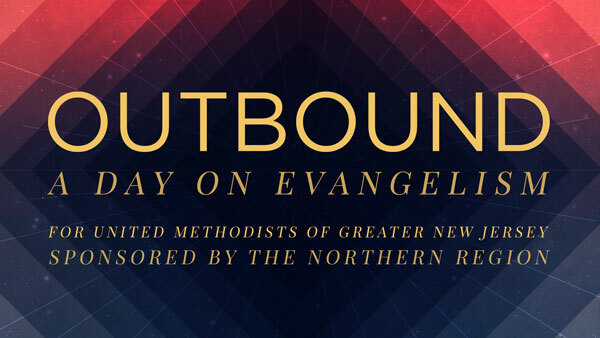 Sponsored by the Northern Regional Team, OUTBOUND featured keynote speaker Paul Nixon, a United Methodist pastor who coaches church leaders in North America and Europe. Nixon is based in Washington, D.C. where he works as regional strategist for Path 1 New Church Starts and as CEO of the Epicenter Group, a coaching and stewardship development organization in North America and the U.K., Nixon worked onsite with more than 800 congregations. As the author of eight books, including “Weird Church: Welcome to the 21st Century” Nixon spoke on “changing ministry gears in a Post-Gutenberg world” and led a workshop on promising ministry models. Greater New Jersey pastors were featured in a lunch panel and included Emad Gerges, from Wesley UMC in Bayone, Herbert Junker Silva, from New Canaan UMC in Kearny and Michelle Ryoo, from First UMC in Ridgefield Park. The several hundred clergy and lay in attendance left inspired by the event. “It was a great day of learning, inspiration and motivation,” said participant David LeDuc. Lourdes Magalhaes, pastor at Davis Memorial UMC in Harrison said she was “blessed and inspired” by the event. Social media expert, Regina Heater led workshops on using Facebook, Twitter and other media as a tool for evangelism and doing theology online. With people using Facebook, Instagram, Twitter, SnapChat and Periscope, Heater discussed how these mediums can be used in church and what to consider when starting or growing a community’s digital ministry. Shannon Kiser, who serves as the Director of Training for Fresh Expressions U.S., leading a team of mission strategists and trainers in inspiring and equipping leaders and churches to start fresh expressions of church, led two workshops. As featured on GNJ’s Uncovered Dish Christian Leadership Podcast, Mike Baughman, founding pastor and Community Curator for Union Coffee, an innovative new church start in Dallas, TX, led a workshop on attracting millennials to the church. Other speakers and workshop leaders included Rev. Chris Heckert of Haddonfield UMC, Rev. Sang-Won Doh of Calvary Korean UMC, District Superintendent Steve Bechtold, and James Lee, GNJ Director of Visual Arts. “My prayer remains that all who attended received power and knowledge that they will actively use to be and lead Jesus’ witnesses in their communities, bringing a foretaste of glory divine,” said Rev. Beth Caulfield.